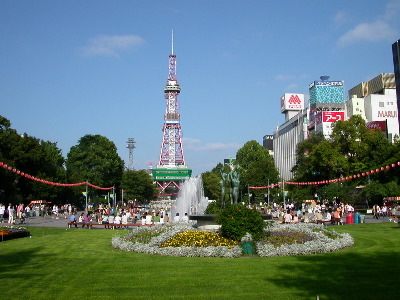 This is Sapporo's most famous landmark. It is smaller than Tokyo tower. Lots of towns in Japan have a big radio/tv towers. I took a decent picture on a sunny day so I slapped it online, bandwidth be damned. While redoing my online galleries I reduced the image size.